Before the mid 16th century, Genoese patrons generally satisfied their artistic needs by importing works or artists themselves from elsewhere in Italy and even the North. Cambiaso established a native school of advanced painting. Trained by his father, Cambiaso then went to Rome, where he was inspired by Michelangelo’s recent painting and followers. Returning to Genoa, he cultivated the geometry and ideality that underpin his style. This led to the development of what is perhaps the most abstract and intellectualized style of the Italian Renaissance. 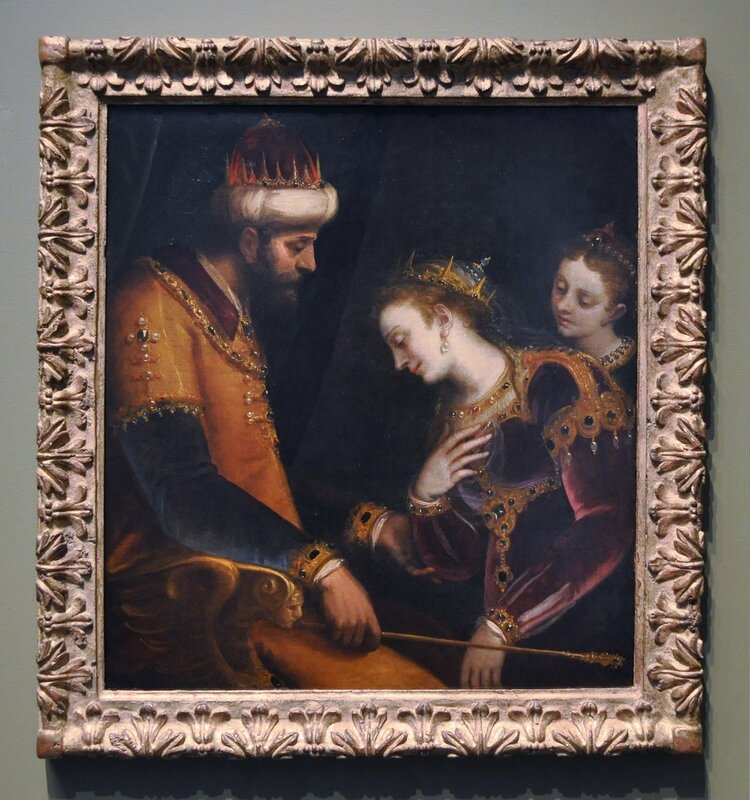 Rendering the Jewish queen’s courageous intercession with the Persian king to save her people, this painting is an outstanding example of Cambiaso’s most conventionally beautiful mode. Expressing the conjunction of physical allure and moral force, the subject was a favorite from around this time, through the 18th century. Typical of Cambiaso’s mature style, the composition is spare, schematic, and still. Influenced by contemporary Venetian painting, and appropriate to the subject, the handling is especially generous and the tenor humane.